Recently I have discussed, in lectures in educational settings and work meetings in the business environment, the meaning and role of the production chain and the value chain in a company’s strategy. I have encountered different ways of understanding these concepts. For some people, they have different meanings, while others treat them as equivalent, even synonymous, terms. These discussions intensified around the observation that competition has ceased to exist between companies and now takes place between chains, and that it is therefore essential to belong to competitive chains. My intention in this MT (Management Tips) is not to put a stop to the discussion, rather to take advantage of recent occasions where I have been called on to share my point of view on the subject of chains and, barring better judgement (as my lawyer friends like to say), to express my thoughts in a clearer way. These terms have been definitively incorporated into academic and professional jargon; however, in few instances do people take the time necessary to meditate on what these terms mean, represent, how they relate, and what they have to do with business. Let’s start by looking at how some authors define the productive chain. Figure 1 presents some definitions of production chain and value chain. The productive chain can be thought of as the set of actors that interact throughout a productive process to supply goods or services to the market. In this way the production chain comprises the set of steps in the production of a piece of merchandise, from planning and design, to delivery to the end consumer. The expression is usually denotes the set of activities that represent generally a particular sector of the industry: the production chain of the electronics industry, the automobile industry, or the leather and footwear industry. And the value chain? What is it and what does it actually represent? The value chain, as discussed earlier in MT 76 when addressing the concept of the Lean Value Chain, can be defined as the set of activities performed by a company, from supplier relationships and production and sales cycles, to the final distribution to the customer. That is, the set of activities that add value to a product or service, but that are performed by the company. 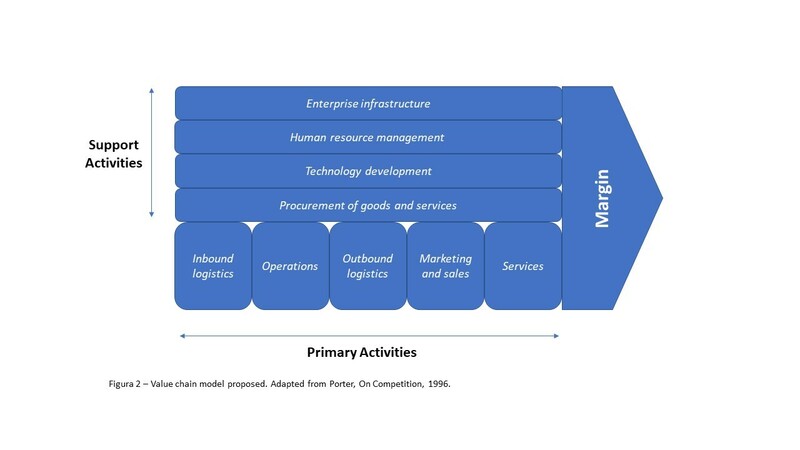 Figure 2 presented a few weeks ago illustrates the value chain model proposed by Michael Porter. Primary activities relate to the development and transformation of products/services, sales, maintenance, and support. Support activities in the value chain have the function, as the name suggests, to support, directly or indirectly, the carrying out of primary activities. The value chain refers to primary or support activities carried out by a company and not a set of actors, network or system of organizations. Although a company may choose to outsource one or more primary or support activities, they remain inherent to the company. Based on these definitions, it can be concluded that the value chain is what the company carries out at the intersection with the various links/actors in the production chain. The primary and support activities in a company are carried out through interactions with several agents of the productive chain, usually other organizations. Thus, while the definitions of the productive chain speak of “a chain of economic activities,” “a system composed of decision-makers,” “a network consisting of several segments,” “a set of actors,” etc., pointing us to more comprehensive aspects related to macroeconomics and the sector as a whole, value chain definitions refer to “disaggregating a business into its activities,” “the set of activities that create and add value,” “the diverse differentiated activities that the company performs,” etc., reflecting what happens within a company. According to this point of view, the concept of the productive chain would be the broader of the two, as it takes into account a set of actors that interact along a productive process to assure the supply of goods or services to the market. This is the more extensive assignment. From the company’s point of view, what employees perceive most immediately in their day-to-day lives is the value chain. If we look from a broader perspective, from outside the company, from the environment, from the market, we will see several actors acting as a network, and the company in question, with its value chain, as a link in the productive chain in which it is inserted. So, the most comprehensive production chain would be a set of individual value chains that intersect with the production chain. What do you think? 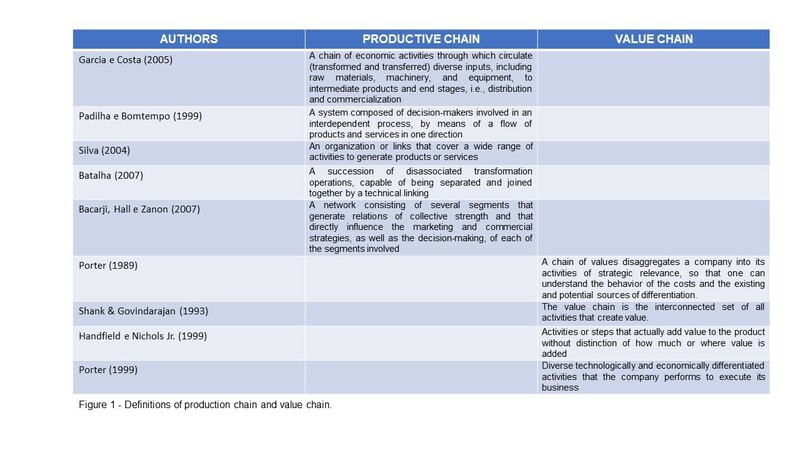 How do you understand the expressions productive chain and value chain? Do you agree with me? Disagree? Let me hear from you! ← Cadeia produtiva e cadeia de valor: dois lados da mesma moeda?